Everyone in the water! 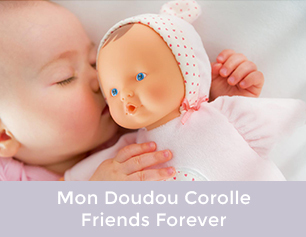 Corolle’s Bébé Bath dolls enjoy bath time and playing in the water. 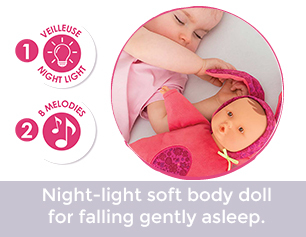 These 12-inch dolls float in the water and hold positions like real babies. Everyone in the water! Corolle’s Bébé Bath dolls enjoy bath time and playing in the water. 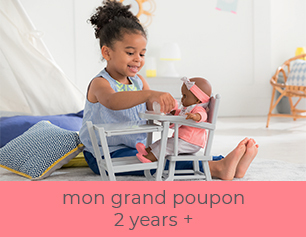 These adorable 12-inch dolls float in the water and hold positions like real babies. There is also a tab sewn onto the doll’s back so it can be hung up to dry after bathing, going to the pool or visiting the beach.